Early this month, New York-based co-working space provider WeWork launched WeWork Labs in India. 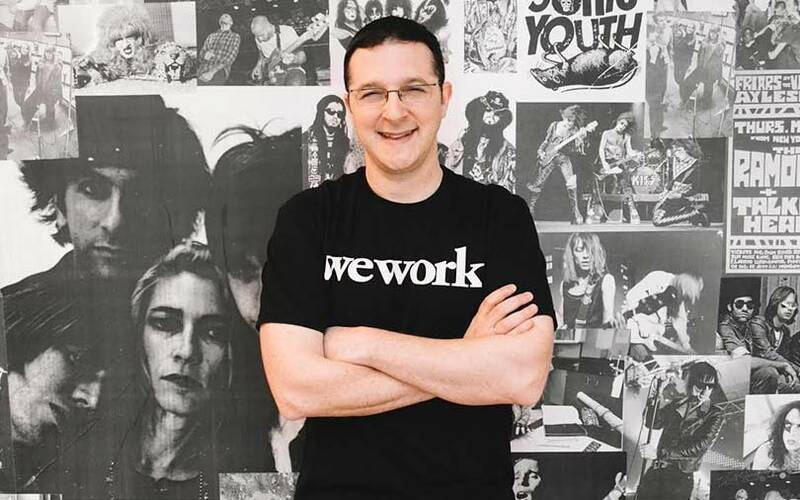 The company, which houses thousands of startups at its office spaces, hopes that the Labs would serve as an ‘ideation hub.’ While WeWork traditionally provided companies shared working spaces, Labs takes that offering a step further and provides early-stage startups content, community and mentorship. Labs, which already hosts more than 1,000 startups globally, will partner with local incubators, accelerators, mentors and enterprises to help startups solve their problems and challenges. Unlike conventional accelerators and incubators, there is no time limit for the startups to graduate from WeWork Labs. Besides India, WeWork Labs was set up early this year across the globe in locations such as the US, China, Korea, Brazil and Israel. WeWork Labs was opened in Delhi some time ago. Is this the official launch of the platform? That was a pilot programme that opened a few months ago. We wanted to understand what customers wanted, what problems they are facing, how we can run a much more curated programme and then launch it and scale that programme across the country. We are happy about the value we are adding to these companies and we are now looking to scale this to multiple locations. We are committed to launching our programme to 10 of our locations by the end of next year. How many startups are part of the pilot programme? There are around eight startups in India as part of the pilot programme, while globally there are around 1,000 startups, which is growing rapidly. How different is the India Labs programme from the global ones? The Labs programme is structured in such a way that we treat every country as separate and we build it through local leadership, who really understands how the startup mindset is manifested locally. Then our team in headquarters, which constantly connects with different points of view, shares that understanding back with the entire global team. We have a global playbook of curation, education and content, but there is full autonomy for the countries to reinvent it. The key thing is we learn. For instance, we can implement the idea we learned from India in Brazil. That is how we learn and leverage the knowledge of the local startup ecosystem. How is the programme structured? Do you see yourself as an accelerator or an incubator? Do you take an equity stake in the startups? In the spirit of entrepreneurship, we allow things to be done differently than how it has been done so far. We do not take equity. In a few ways, the programme is unique in its approach. We take a custom approach. The manager is usually a former entrepreneur, who sits with the startups, helping them to achieve their strategic goals. The outcomes are different for every startup. It could be helping them to bring in an investor, mentor or customers. In parallel to all that, there is content, lectures, workshops and other forms of education. It is all about inclusion and longevity. TechStars is a partner and has a great programme. Some of these well-known and great programmes are time-based and do not limit the association with any stage of the entrepreneurial journey. It is not that these startups cease needing help when they graduate. This programme has a membership fee, which we think is fair and is lower than the normal WeWork space. This helps us to expand the scope of the help we can provide. You provide startups a subsidy to run the programme. How do you benefit from it? This is about encouraging the right startups and everyone benefits. We are not looking at this like a money-making machine. The idea is to give them the infrastructure, the community to lean on and grow. We have recently expanded to large enterprises as customers. But we started as a community and space for startups. Labs gives us a reason to stay true to the original intention of helping startups grow all over the world. Once these startups get value out of the community and are able to make a huge impact, the programme will be a success. Does the concept of graduation apply to startups that are a part of Labs? No, we leave it to the startups. A company might move out when they are an eight-people team while another one might move out when they are 20-people strong. This approach allows us to be truly diverse in content because some ideas might take years to build. Some ideas can happen in 60 days. Some hard problems take time and multiple iterations and we need to learn from those too. What space do you allocate for Labs in a particular campus? Will that impact WeWork's profitability? The ideal situation is around 10-15% or around 60 to 150 people working for these startups, but we don't look at that as a specific percentage. We don't comment on the profitability of the monetary aspects. We are responsible for the business model and making sure that this is sustainable in the future. This is under our business plan and structure. We are not losing money on it. The impact of Labs is to be seen in a 10- to 20-year horizon and not something we are looking to monetise in two, three or even five years. We are thinking through the right cities and neighbourhoods as there is a rise in entrepreneurialism and the ecosystem is not complete yet. So, more help is needed for entrepreneurs to embark on the startup journey. They are all over the place in most cities we operate in.